Maputo « What Happened to the Portcullis? South African authorities implemented legislation requiring all travellers from Mozambique to prove they hold enough funds to cover their visit, either by showing R3000 minimum or by providing a credit card with a bank statement, the Maputo Corridor Logistics Initiative (MCLI) said in a statement today. This led to considerable delays for freight, tourists, business and informal traders, which was worsened when a riot and blockade broke out at the Lebombo/Ressano Garcia border post. Following the blockade the requirements were withdrawn, allowing traffic to pass through the border. The Sappi group, one of the world’s largest manufacturer of gloss paper, plans to use the port of Maputo, in Mozambique to export to Asian markets a group official told financial news agency Bloomberg. Alex Thiel, who is responsible for the group’s business in Southern Africa, said that in October an agreement was reached with Dubai-based port operator DP World, which together with South African logistics group Grindrod and state company Portos e Caminhos de Ferro de Moçambique, is a partner in Maputo port company Empresa de Desenvolvimento do Porto de Maputo. The Sappi group, which is also one of the world’s largest producers of dissolving wood pulp, plans to ship 10,000 containers per year via the port of Maputo as it is just 250 kilometres from the group’s factory in the South African province of Mpumalanga. “We have decided to export via the port of Maputo in order to save money as the second-closet port, in Durban, is 650 kilometres from the factory,” said Thiel. 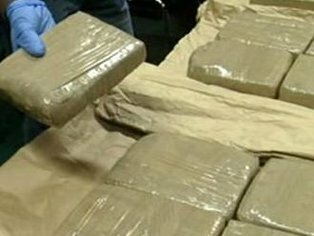 The Mozambican police claims that it has seized almost 600 kilos of heroin, at Namoto, in the northern province of Cabo Delgado, on the border with Tanzania. The drugs were found on Sunday in the possession of two citizens of Guinea-Conakry, who are now under detention in the Cabo Delgado, provincial capital, Pemba. The drugs are being stored in the warehouses of the provincial attorney’s office. According to Malva Brito, the spokesperson of the provincial police command, cited in Wednesday’s issue of the Maputo daily “Noticias”, the final destination of the heroin was South Africa. Brito said the drug was concealed in an otherwise empty seven tonne pick-up truck. The Guineans had improvised a type of hold within the truck’s bodywork. But alerted by a strange smell and the odd size of the stowage area, the police searched the truck, and found the heroin in 118 plastic bags of about five kilos each (which is a total of 590 kilos). When the heroin was found, the Guineans first claimed that it was fertilizer that they were taking to South Africa. When that didn’t work, they tried to bribe the frontier guards, offering them 60,000 US dollars. The bribe was not accepted. The Guineans had started their journey in the Kenyan capital, Nairobi, last Friday, and crossed Tanzania before entering Mozambique. The Toyota pick-up bore a number plate from the Democratic Republic of Congo, and supposedly belongs to a Congolese named Sidiki Sano, who is resident in Mozambique. The owner of the heroin is believed to live in Johannesburg. If the police figures are accurate, this is an enormous drugs bust. According to the United Nations, heroin was selling in South Africa in 2012 for 35 dollars a gram. So 590 kilos would sell in Johannesburg for 20.65 million dollars. Source: Mozambique News Agency (Agência de Informação de Moçambique). With the new APDP programme ably supporting the local South African vehicle manufacturing industry, the possibility of Chinese investment in Mozambique should have little impact on the local vehicle cartel. However, the possibility of competition for the local industry is just what is needed to create competitiveness in the region. Mozambique is expected to become a car manufacturing and exporting country this year following an investment by China Tong Jian Investment, which is also attracting other companies in the sector to Mozambique. Danilo Nalá, the director general of the Office for Economic Areas with Accelerated Development (Gazeda), told Mozambican newspaper Correio da Manhã that investors from Saudi Arabia and Bahrain were interested in investing in tyre manufacturing in the city of Matola, on the outskirts of Maputo. The tyre factory, which will be part of the project for the car assembly plant in Matola funded by Chinese investors, as of April 2013, may either involve acquisition of the technically bankrupt company Mabor or setting up a new unit from scratch. According to the newspaper, “there is a lot of interest from Asia in re-launching the tyre industry,” in Mozambique. (Comment: This could be an area of contention for the local market though). 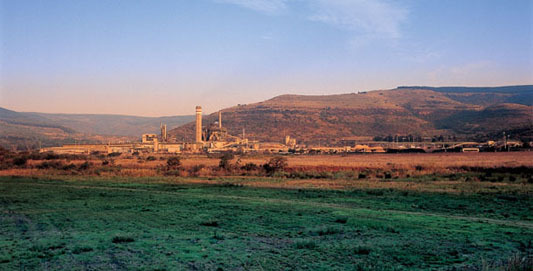 Construction of the China Tong Jian Investment factory, costing an estimated US$200 million, is the result of an agreement the Mozambican government signed with the company in 2010. The agreement outlines that, at an initial stage, the facility should produce around 10,000 vehicles per year, 30 percent of which for the Mozambican market and the remainder for export. Production is then outlined to be increased to 30,000 units per year and, later, to 100,000 units. The factory, which is located in the Machava area of Matola, in the former workshops of Mozambican state port and rail manager Portos e Caminhos de Ferro de Moçambique, will produce buses and light passenger vehicles of the Matchedje brand. Matchedje is the name of the village in the Sanga district of Niassa province, which hosted the 2nd Congress of the Mozambique Liberation Front (Frelimo), which is the political party currently in power in the country. Mozambique news agency AIM reported last week that the Mozambican customs service has seized 30 containers full of logs that were about to be exported illegally to China through the port of Maputo. The report said that the seizures began on 16 January in the town of Marracuene about 30 kilometres north of Maputo, where Customs located ten containers, each measuring 15 cubic metres, in a yard belonging to the Chinese firm Heng Yi. As the investigations continued, the authorities discovered a further 20 containers already in the port waiting to be loaded onto a ship heading for China. The containers in the Heng Yi yard contained mondzo, a species classified as a first grade hardwood, which cannot be exported without processing. Yet the mondzo logs had been packed into the containers without any inspection by the relevant authorities. China is the biggest consumer of timber from Mozambique accounting for 85 percent of the 430,000 cubic metres of logs to leave the African country between 2000 and 2010, according to a study from the Mozambican Environmental Research Agency. The study, cited by Mozambican daily newspaper Notícias also said that the value of wood exports to China in the period had risen from US$8 million to US$100 million between 2001 and 2010. Mozambican wood is exported to China, South Africa, Germany, Japan, France, Mauritius, Malaysia, Thailand, Tanzania, Portugal, Israel, Vietnam, Singapore, Turkey, Zimbabwe, Botswana, Croatia, Namibia, Dubai, India, Pakistan, the United States, Reunion Islands, and Italy. Last week the containers in the port were still being unpacked to check exactly what types of wood they contain. Staff of the Mozambican Tax Authority (AT) said that the origin of the logs is still unclear, but their nature and diameter indicate that they came from the forests of Nampula and Zambezia provinces, or possibly from the northern part of Gaza. To understand where to the Port of Maputo is heading in the future, one has to know its past. 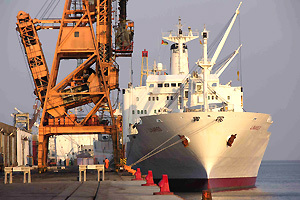 In 1972, the Port of Maputo was a busy hub, handling near 17 million tonnes per year. Durban’s port, a little further south, was handling only 3 million tonnes more rhan that and Richard’s Bay Port didn’t even exist. Then the long civil war came. In 1988, the Port of Maputo barely reached 1 million tonnes; infrastructure deteriorated, shipping companies moved their business elsewhere and ports like Richard’s Bay were born and prospered. It was only in 2003, when the Port of Maputo was transformed into a Private Public Partnership and concessioned to Maputo Port Development Company (MPDC), that things started changing. In only nine years, the Mozambique’s capital port grew from 4.5 million tonnes to 14 million tonnes (this expected year’s throughput). This growth is the result of a massive investment – $291 million by the port’s concessionaires – in the rehabilitation of roads, rail, quays, general infrastructure and acquisition of equipment. However, the most beneficial change was the channel dredging to -11 meters, with a sailing draft above 11 meters. This allowed the port to receive bigger ships and, after the dredging, the Port of Maputo had an impressive growth of 35 percent. The dredging of the access channel to the port was the first of the many actions included in the Port of Maputo’s Masterplan; an ambitious and dynamic tool, which charts the port’s successful development. 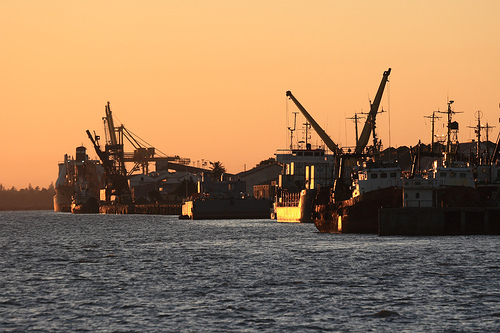 According to the updated Masterplan, the Port of Maputo foresees that, by 2020, it will be handling almost 50 million tonnes, with an investment of US $1.7 billion in the coal, container and bulk terminals. The port will also receive channel dredging to -14 meters, berths rehabilitation and also rail, road and warehousing improvements. The coal terminal, for example, is planned to grow from the current 6 million tonnes capacity to 30 million tonnes (20 million of coal and 10 million of Magnetite), and the container terminal will increase from the present 150,000 containers to 400,000 containers (phase one). Much of the grand design to secure a vibrant future is presently visible only as images, which reflect the foresight of those who have launched this mammoth 20 year project. But to turn all this into reality, the Port is now working in what the eye can’t see. The Port of Maputo has a geostrategic location, relative to key markets – the main mining regions of South Africa, Swaziland and part of Zimbabwe. This gives the port a strategic, competitive advantage in comparison to neighboring ports, who are struggling with congestion. Most of the mineral cargos are transported to the port by road, even though they are more rail oriented. This poses numerous issues, such as road congestion, road maintenance and environmental problems. Today, there are about 1,200 trucks moving in and out the port every day. 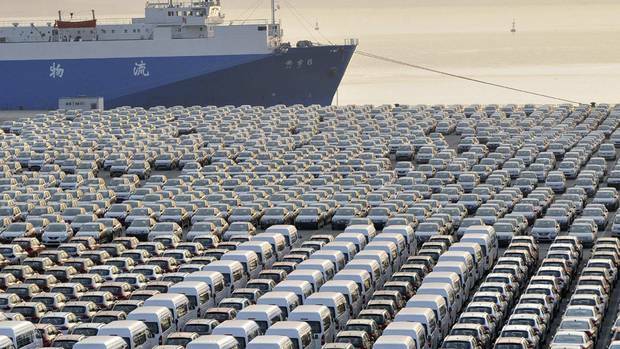 Very soon, with raising demand, this number will double, if cargo is not moved by rail. Read the full PDF article here! Source: Porttechnology.org. “The hardly-negotiated Mozambique customs transit regulation is concluded and the document sent to the minister of finance for approval. Approval and official gazetting is expected for the first week of August. All the unknown costs are replaced by a transit fee of 500.00-mts (+\- 18 US$) for general cargo and 10 cents of mts (0.036 US$) per for bulk cargo.Art. 13. It is clarified that transit cargo is duty-free and subject to a guarantee that can be isolated (for a single transaction) or global (for transactions etween 3-month and 1-year). The bond covers only the duties and taxes at risk and is capped at 35% of duties and taxes. As an example, if the value of the good is US$1 000, the bond will be equal to 35% of 22% (7% of duties and 17% of vat), totaling around US$75. The bond is calculated on the basis of the value of transactions undertaken in the preceding year. Art. 14 to 19. Transhipment is free-of-bond and the acquittal takes place only in the last port in the national territory. Art.23. The Single Electronic Window (JUE) is a modern system of clearance of goods. After the revision of the whole legislation to allow the implementation of the JUE, the pilot project began in September 2011 in the port of Maputo. Here follows an interview with Kekobad Patel, the President of the Working Group On Tax Policy, Customs and International Trade of the CTA. What was the adherence of international traders? When did the use of the JUE become mandatory? How many organizations have used the JUE? What are the next areas to be covered by the JUE? What is the biggest challenge of the JUE? Is the JUE to eliminate the clearing agents? On 11 July 2012, the Embassy of the Republic of Mozambique to Belgium deposited Mozambique’s instrument of accession to the International Convention on the Simplification and Harmonization of Customs Procedures (Revised Kyoto Convention) with the World Customs Organization. The Convention is regarded as a blueprint for effective and modern Customs procedures, and will enter into force in Mozambique on 11 October 2012. 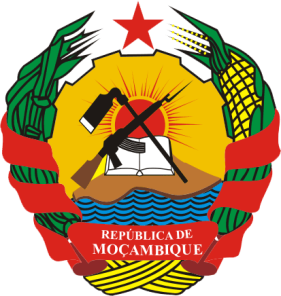 Mozambique becomes the 82nd signatory to the Convention. Some of the Convention’s key elements include the application of simplified Customs procedures in a predictable and transparent environment, the maximum use of information technology, the utilization of risk management, a strong partnership with the trade and other stakeholders, and a readily accessible system of appeals. Will be interesting to see how Mozambique Customs treats the national transit procedure? Extensive literature argues that reducing trade costs can substantially increase income and improve welfare in trading countries, particularly in the developing world where these costs are highest. In 2007, a shipping a container from a firm located in the main city of the average country in Sub-Saharan Africa was still twice as expensive, and six times more time-consuming, than shipping it from the US. It was also twice as expensive and just as time-consuming as shipping a similar container from India or Brazil, according to the World Bank. As a result, a significant portion of international aid efforts has in recent years been channeled to reducing trade costs and improving logistics in the developing world. Evidence is growing on how corruption in transport networks can significantly increase the cost of moving goods across borders. A recent paper “Corruption and Firm Behaviour” investigates how different types of corruption affect company behavior. Firms can face two types of corruption when seeking a public service: cost-reducing, “collusive” corruption and cost-increasing “coercive” corruption. Using an original and unusually rich dataset on bribe payments at ports matched to firm-level data, the authors observe how firms respond to each type of corruption by adjusting their shipping and sourcing strategies. Cost-reducing “collusive” corruption is associated with higher usage of the corrupt port, while cost-increasing “coercive” corruption is associated with reduced demand for port services. Data suggests that firms respond to the opportunities and challenges created by different types of corruption, organizing production in a way that increases or decreases demand for the public service. This can have important implications for how we identify and measure the overall impact of corruption on economic activity. The data further allows us to understand the bribe setting behavior of different types of public officials with implications for the design of anti-corruption strategies. In our setup, firms have the choice to ship through two ports: Maputo in Mozambique, and Durban in South Africa. The majority of firms in our sample are equidistant to both ports while a subset of firms will be significantly closer to the more corrupt port of Maputo. Survey data revealed that the choice of port is driven primarily by the interaction between transport and corruption costs at each port. Transport costs are linear to the distance between each rm and the ports, while corruption costs are determined by the type of product the firm ships. Our main measure of the distortion caused by corruption is how rms shipping products that are more vulnerable to corruption will opt to go the long way around to avoid a closer, but more corrupt port. We also nd suggestive correlations between the level and type of corruption rms face at each port, which directly affects the cost of using port services, and firms’ decision to source inputs from domestic or international markets. Source: Corruption and Firm Behavior (December 2011) by Sandra Sequeira and Simeon Djankov. Recent years have brought an increased awareness of the importance of trade costs in hindering trade, particularly in the developing world where these costs are highest, says a report in the latest edition of Port Technology. The most salient type of trade costs have often been tariff duties and costs associated with the physical transportation of goods. As a result, several countries embarked on extensive programmes of tariff liberalisation and a significant portion of aid effort was channelled to investments in hard transport infrastructure, such as rebuilding railways and ports (the World Bank alone devotes more than 20 percent of its budget to transport infrastructure projects worldwide). More recently, new light has been cast on the importance of a different type of trade cost: the cost imposed by the soft infrastructure of transport, defined as the bureaucratic infrastructure handling the movement of goods across borders. While there are many possible sources of inefficiencies stemming from the soft infrastructure of transport, recent research is beginning to document the role played by corruption in transport bureaucracies in driving trade costs. This article provides an overview of this research. 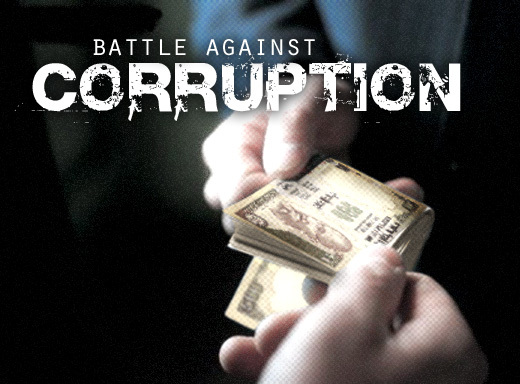 Corruption can take many forms and emerge in many different phases of the process of clearing goods across borders. Sequeira and Djankov (2011) documented in great detail the ways in which port corruption emerges in Durban and Maputo in Southern Africa – this report is featured in my next post. This research was based on a unique dataset of directly observed bribe payments to each port bureaucracy for a random sample of 1,300 shipments. The study began by defining two broad categories of port officials that differed in their administrative authority and in their discretion to stop cargo and generate opportunities for bribe extraction: customs officials and port operators. In principle, customs officials hold greater discretionary power to extract bribes than regular port operators, given their broader bureaucratic mandate and the fact that they can access full information on each shipment, and each shipper, at all times. Customs officials possess discretionary power to singlehandedly decide which cargo to stop and whether to reassess the classification of goods for tariff purposes, validate reported prices of goods, or request additional documentation from the shipper. Regular port operators, on the other hand, have a narrower mandate to move or protect cargo on the docks, and at times even lack access to the cargo’s documentation specifying the value of the cargo and the client firm. This category of officials includes those receiving bribes to adjust reefer temperatures for refrigerated cargo stationed at the port; port gate officials who determine the acceptance of late cargo arrivals; stevedores who auction off forklifts and equipment on the docks; document clerks who stamp import, export and transit documentation for submission to customs; port security who oversee high value cargo vulnerable to theft; shipping planners who auction off priority slots in shipping vessels, and scanner agents who move cargo through non- intrusive scanning technology. The organisational structure of each port created different opportunities for each type of port official to extract bribes: the high extractive types -customs agents- or the low extractive types -port operators. These opportunities were determined by the extent of face to face interactions between customs officials and clearing agents, the type of management overseeing port operations, and the time horizons of each type of official. 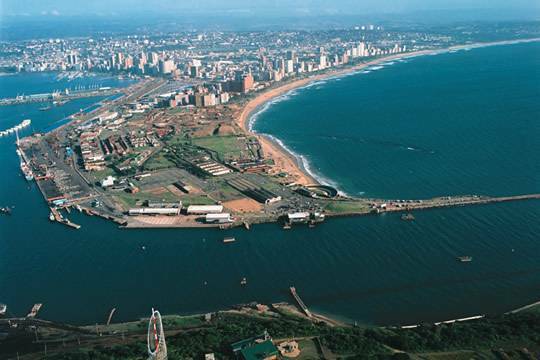 In Durban, direct interaction between clearing agents and customs’ agents was kept to a minimum since all clearance documentation was processed online. In contrast, all clearance documentation was submitted in person by the clearing agent in the Port of Maputo. The close interaction between clearing agents and customs officials in Maputo created more opportunities for corrupt behaviour to emerge in customs relative to Durban. In Maputo, port operators were privately managed but in Durban, most terminals (for containerised cargo) were under public control, with very lax monitoring and punishment strategies for those engaging in corrupt behaviour. Private management in Maputo was associated with fewer opportunities for bribe payments due to better monitoring and stricter punishment for misconduct. As a result, the organisational features of each bureaucracy determined that the high extractive types in customs had more opportunities to extract bribes in Maputo, while the low extractive types in port operations had more opportunities to extract bribes in Durban. While corruption levels were high in both ports, bribes were higher and more frequent in Maputo relative to Durban. Finally, port officials with opportunities to extract bribes at each port differed in their time horizons. Customs in Maputo adopted a policy of frequently rotating agents across different terminals and ports, and since bribes varied significantly by the type of terminal at the port, customs agents were aware of the risk of being assigned to terminals with lower levels of extractive potential. On the other hand, port operators in Durban had extended time horizons given the stable support received from dock workers’ unions. Customs officials were therefore the high extractive types with the shortest time horizons, the broadest bureaucratic mandates and more opportunities to interact face to face with clearing agents. As a result, they extracted higher and more frequent bribes, relative to port operators in Durban (the low extractive types) who had longer time horizons and narrower bureaucratic mandates. Source: Port Technology. 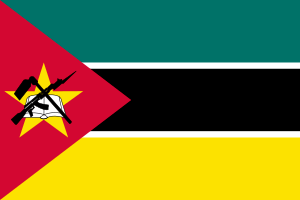 Customs processing times for goods imported into Mozambique will be lowered from the current minimum of three days to just a few hours with the introduction of a modern customs processing system, Mozambican daily newspaper Notícias reported. 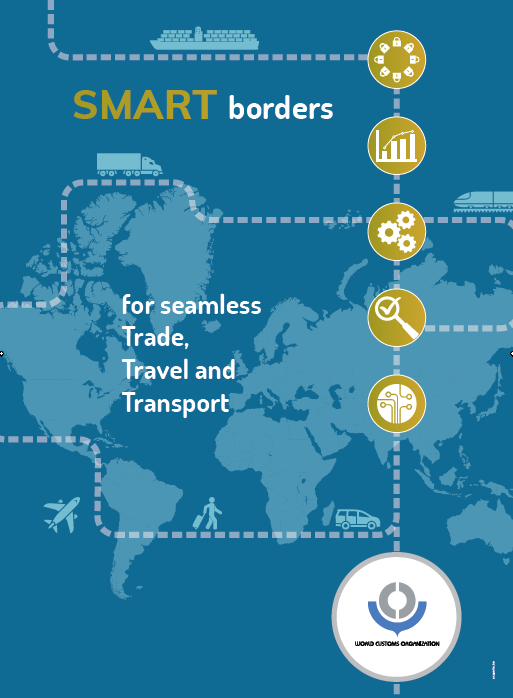 Known as the Single Electronic Window, the new tool is made up of two computer systems – the integrated customs management system and the operators’ mechanism. Via the Single Electronic Window importers are able to submit the customs declaration and pay all fees via a retail bank before the actual unloading of the goods, which will reduce their processing time. Rosário Fernandes, chair of the Mozambican Tributary Authority said that the transmission network for the Single Window (Janela Única), managed by MCNet (Mozambique Community Network), would show the cargo manifest and customs declaration from carriers or owners of the goods, processing, payments inspection and management of the output of imported goods.